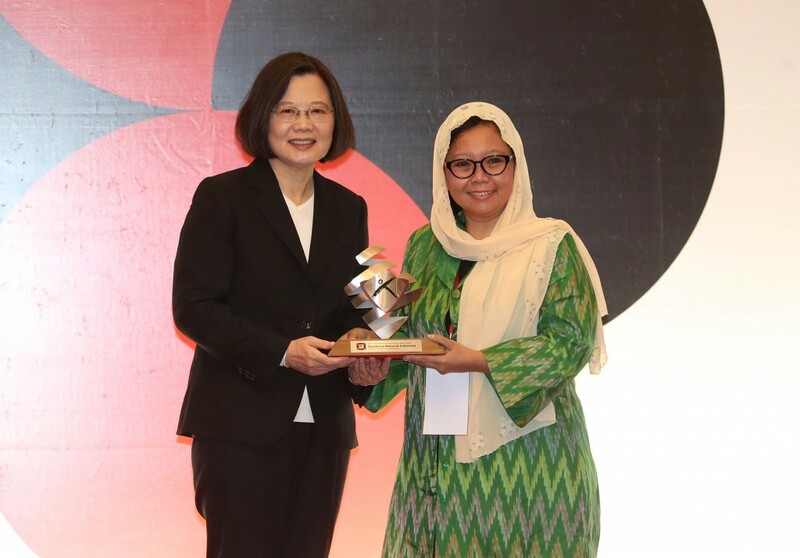 TAIPEI (Taiwan News) — Upon receiving the Asia Democracy and Human Rights Award, President of the Indonesia-based NGO, Gusdurian Network Indonesia (GNI), Alissa Wahid, said the network will continue fighting for the people of Indonesia, providing a voice for the religious and ethnic minorities of the country. “Justice and democracy are not the kind of work done in a happy setting. Always a painful work. But we never back down. We can’t,” said Wahid. “The award is a recognition of our work, but it also serves as a reminder of our commitment to working harder” for the people of Indonesia. 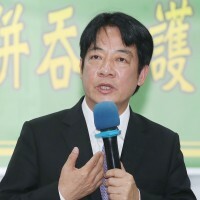 Established in 2010, the GNI has been promoting peaceful dialogues and exchanges between different religions and ethnic groups, according to the Taiwan Foundation for Democracy (TDF), which has organized the award for more than a decade. Wahid said the network is named after her father, former Indonesian President Abdurrahman Wahid (also known as Gus Dur), who strived to defend democracy and fought for human rights during his lifetime, proving that democracy and Islamic principles can go hand in hand in Indonesian society. Following in her father’s footsteps, Wahid, along with other members in the network, are currently fighting against what she termed as religious populism and extremism in Indonesia. “Now we see how God and religion are capitalized to gain political power, to discriminate [against] others, and to do injustice,” said Wahid. The network has cooperated with other human rights advocacy groups and activists to voice for ethnic and minority groups, connecting communities in more than 100 cities nationwide. 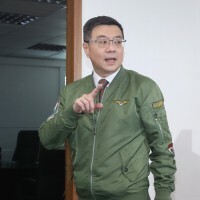 Quoting former U.S. President Franklin D. Roosevelt’s statement, “freedom means the supremacy of human rights everywhere,” Legislative Yuan Speaker and TFD Chairman Su Jia-chyuan (蘇嘉全) lauded the GNI for having given substance to the statement through their actions and endeavors. 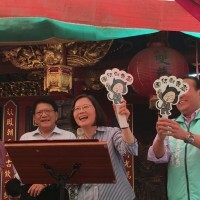 Su said it was exactly because of the interactions and integration between different peoples, ranging from indigenous peoples to new immigrants, that Taiwan was propelled to improve and was able to become a country that has embraced a plurality of ethnicities and viewpoints. Hopefully with the GNI’s being recognized for the award will encourage all the fighters who are still fighting against totalitarian regimes and oppression, added Su.